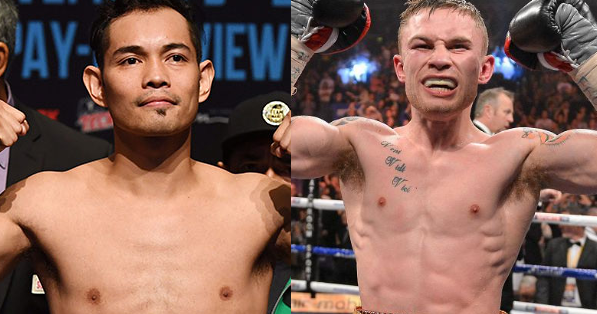 Home Boxing Nonito Donaire vs Carl Frampton in April 2018? Nonito Donaire vs Carl Frampton in April 2018? From to boxingscene.com. According to promoter Frank Warren, two former world champion Donaire and Carl Frampton will fight in Belfast next year on April 7. Both fighters are still at their peak of their career and they're both outstanding and former world champions. Donaire Jr., from the Philippines, is a former 4 divisions world champion while Frampton from UK is a former IBF and WBA Super World Featherweight champion. Both have an impressive record, Donaire with 38W(24KO)-4L, Frampton with 24W(14KO)-1L. This would be an interesting one and fans love to see it soon. Donaire maybe has an advantage about power but Frampton has a strong chin and has good combinations that could change Donaire's style. No signing happening yet, but both parties are in negotiation and hope that they could agree and push the fight for next year.